Описание: Предлагаем Вам скачать два учебника по грамматике английского языка из серии TOP. Top 10 Great Grammar for Great Writing и Top 20 Great Grammar for Great Writing. Top 10 предназначен для студентов уровня pre-intermediate - intermediate. В учебниках основной упор делается на практическое применение знаний английской грамматики, устранение наиболее встречающихся ошибок и полноценное развитие навыка writing. 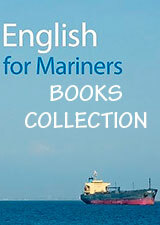 К обоим учебникам прилагаются ответы..
Top 10 Great Grammar for Great Writing - This book includes: straightforward grammar explanations allow students to understand how structures are used in writing; guided activities encourage students to learn about typical grammar errors, identify them, and then correct them; strong emphasis on editing exercises teaches the self-editing skills students need to develop, to be successful writers. Book and Answer Key. Top 20 Great Grammar for Great Writing - by providing instruction and practice of the 20 most troublesome grammar points, Top 20 helps students master the essential grammar they need to produce great writing. 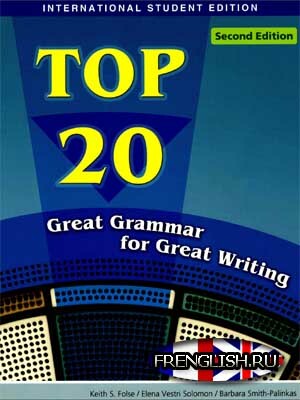 This book includes: a variety of exercises show students how to find and correct common grammatical errors; top 20 can be used as a stand-alone or as a supplement to any writing text. Book and Answer Key.